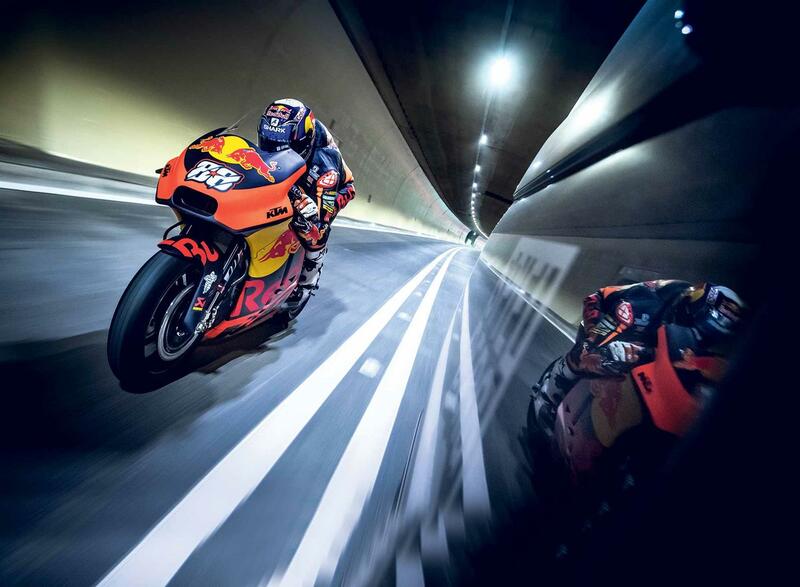 MotoGP newbie Miguel Oliveira blew the doors off the new 8.3km Gleinalm tunnel that connects Graz to Speilberg (where the Red Bull Ring is located) in Austria last week. The rising star was invited to ride his factory KTM RC16 MotoGP bike through the tunnel before it was opened to the public. The noise of that barely-silenced MotoGP exhaust note bouncing off the tunnel walls was just as incredible as seeing a full-factory MotoGP bike pull up at the toll booth before accelerating off into the mouth of the tunnel. After returning to the premier class of motorcycle racing at the start of 2017, the team were able to bag their first podium on the RC16 with rider Pol Espargaro at the final round of the 2018 season, in Valencia. In late November, KTM gave two lucky riders the chance of a lifetime to own a full-factory RC16, alongside a full set of Espargaro's race kit, alongside a signed helmet. What's more, there is also the chance to become a member of the team for the weekend with a paddock and pitbox tour, a meet-and-greet with Pol and newly-signed Johann Zarco and a complementary set of team wear. Costing a cool €250,000, the price tag will also grant you full access to the Red Bull Energy Station all weekend at a Grand Prix of your choice, however not this cool 8.3km tunnel! To find out if you're still in with a chance of owning this beast, contact rc16@ktm.com for more details.